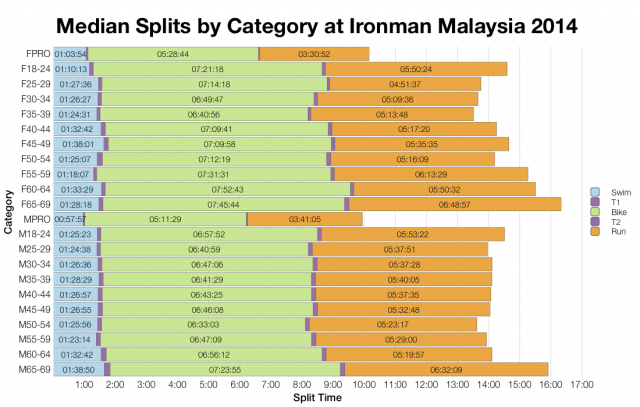 I’m going to take a very quick look through results from Ironman Malaysia 2015 this evening. Last year saw the relaunch of this race after a few years hiatus. It’s a small event with around 750 athletes making the start line on Saturday to compete for 40 Kona slots. 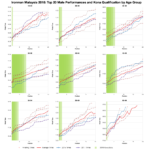 Results tend to be slow – this was true in 2014 and again this year. 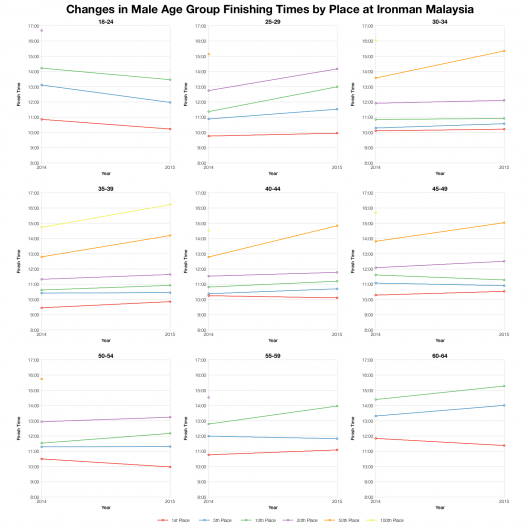 What stands out when comparing the split distributions from two years of racing in Malaysia is that while median times have largely remained the same, top performances appear to have improved. 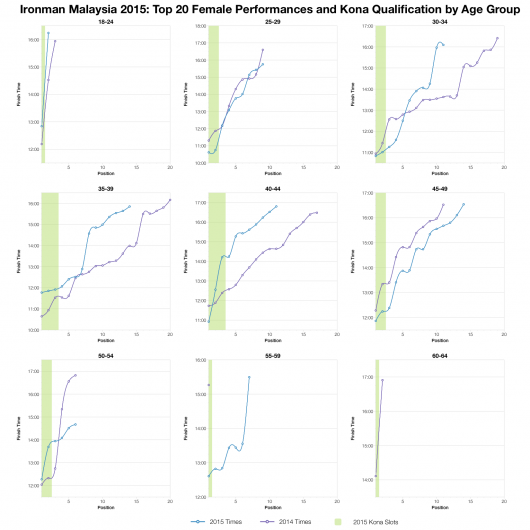 I suspect this may be the impact of a relatively large pro field at this years event (a higher proportion of overall athlete numbers than we’d typically see). On average this year’s race was much like the last, but at the very front it was clearly faster. 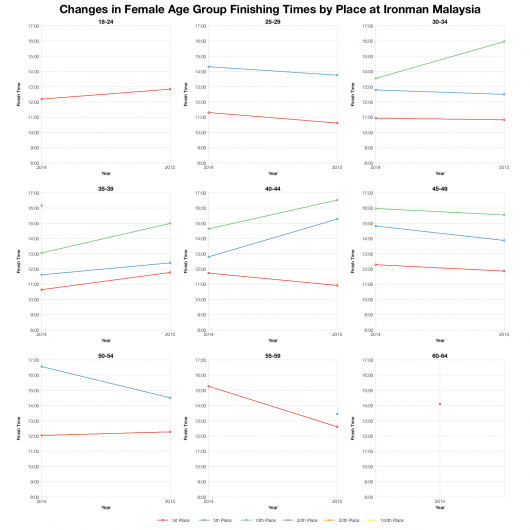 Another notable fact is the increase in run DNF at this year’s race. 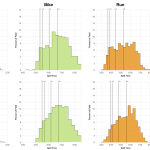 That’s a notable jump on 2014 suggesting tougher conditions and that while the medians are comparable between the two years this may not fully reflect differences between the two races. 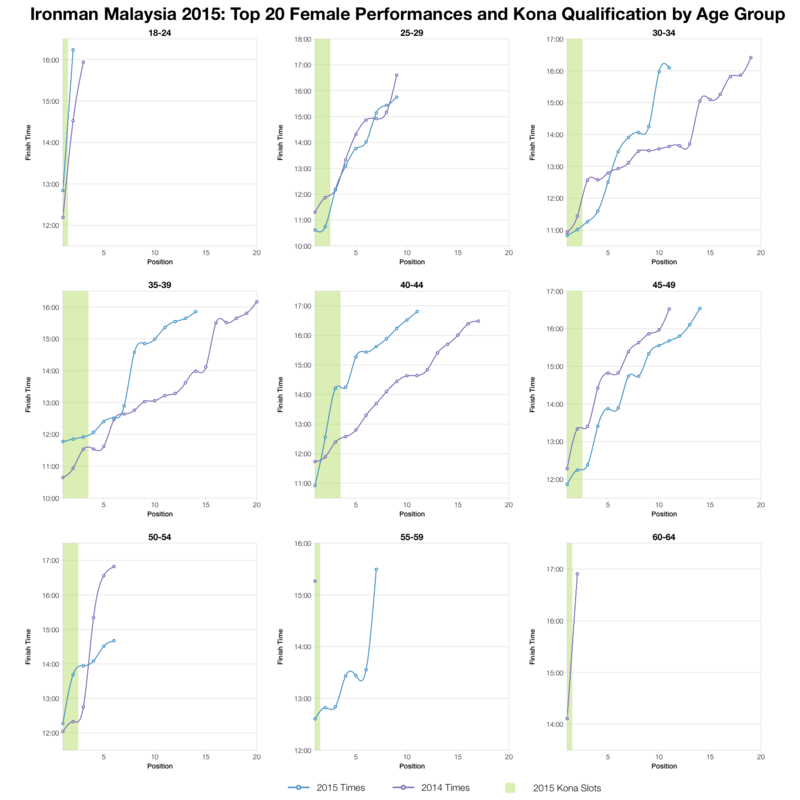 There’s a lot of variance in age group medians, much of it a consequence of the smaller field this year. As a very rough pattern this year’s medians share much in similar with the year before. Of note is the improvement to male pro times, this may well explain much of the boost at the front of the splits. Again there’s variations among the age groups. A few are faster, but most come out slightly slower across their placings. 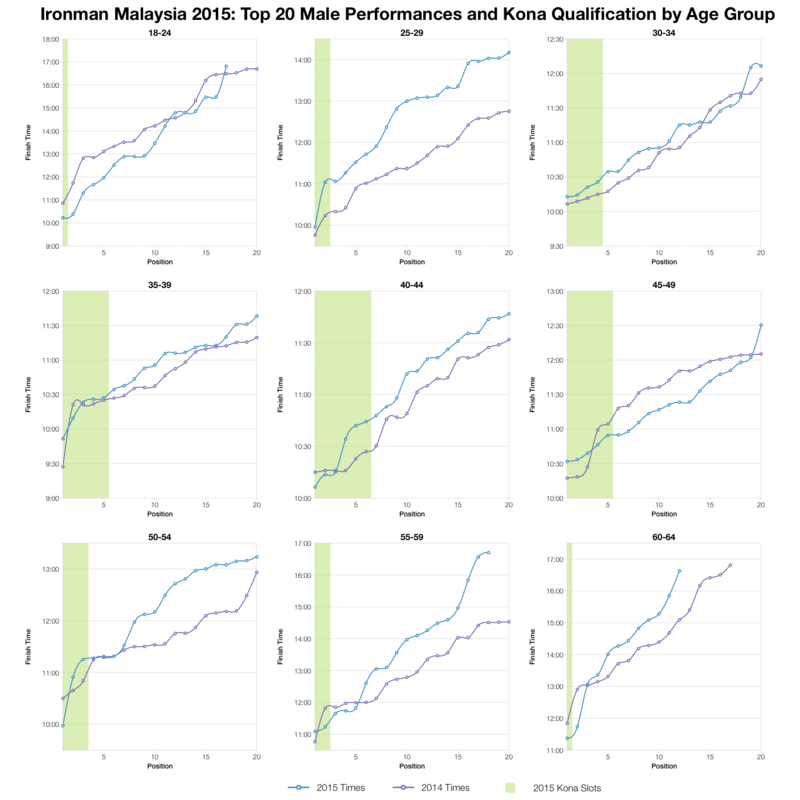 Kona slots are estimated in the table above – the actual allocation may have varied in a few places, but based on these estimates I can give rough guides to the times for qualification. It’s clear here we’re looking at a slower race than most with few qualifying times crossing the 10 hours mark. 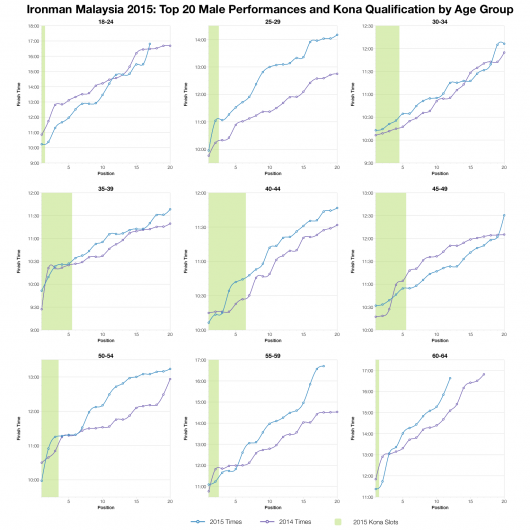 Looking at the top twenty in each age group and comparing the two years of racing shows them to be broadly similar. 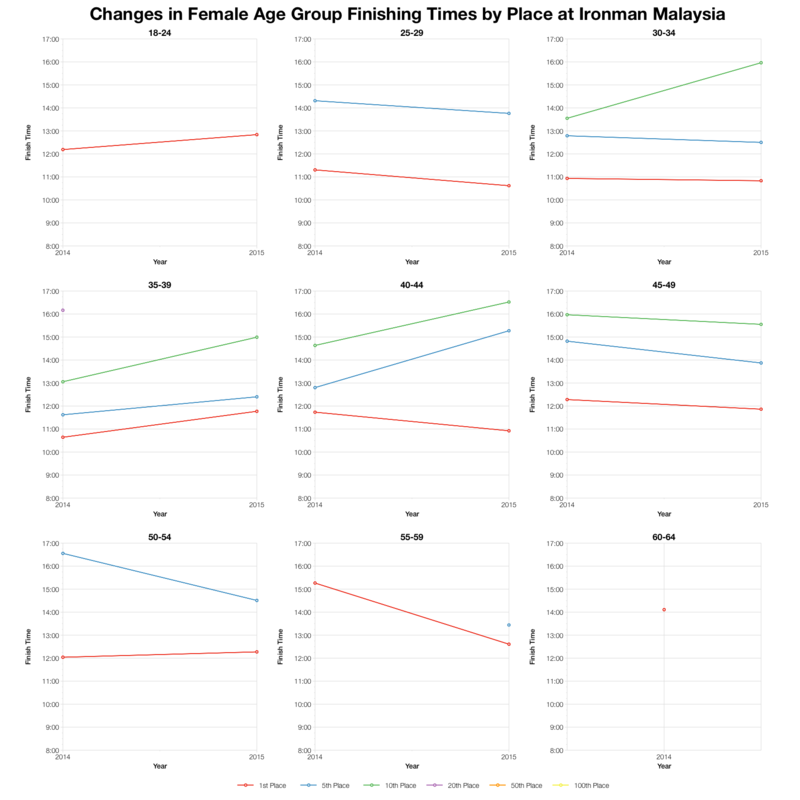 That said 2015 is probably a little slower than 2014 even at the front of the age group field. 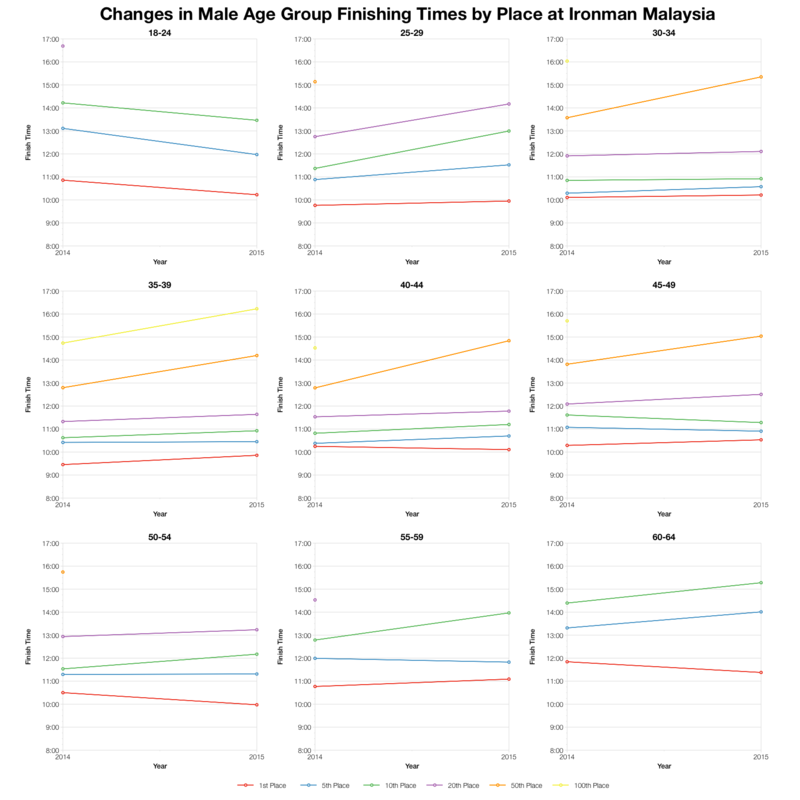 Overall I suspect that this year’s race was slower for the age group field. 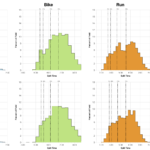 The front of pack was less impacted by conditions, but it was the fast male pro field that likely pulled up the split distribution for the top 5%. 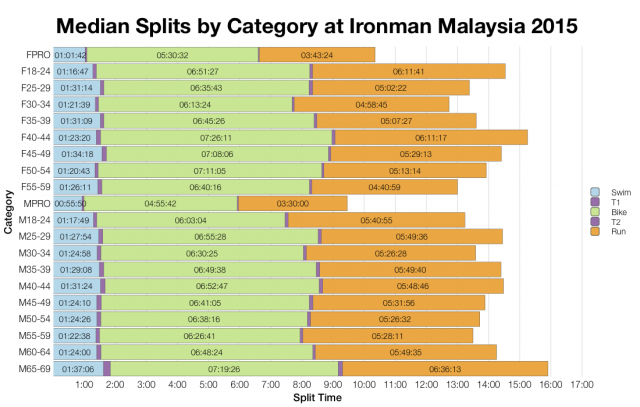 For most Ironman Malaysia is a slow race. 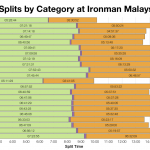 You can access a spreadsheet of the full results and splits from Ironman Malaysia 2015 on my Google Drive.